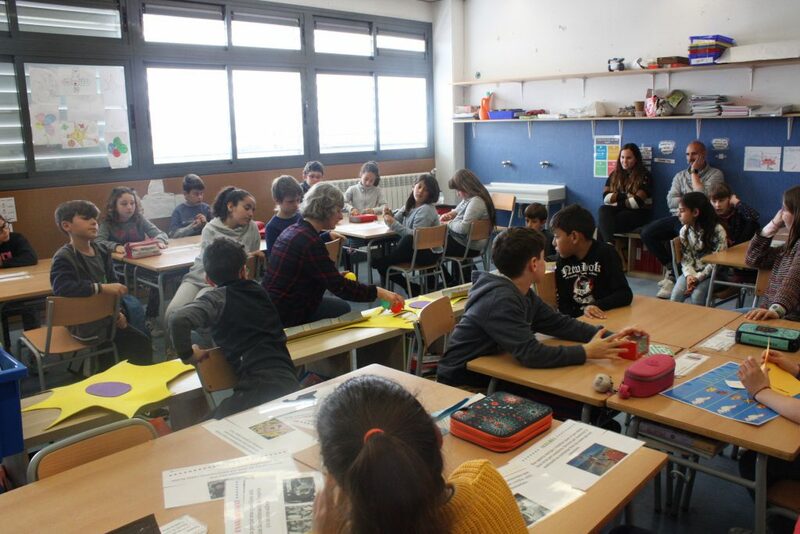 Elisenda and I (Roser) went to L’Olivera School, in Sant Cugat, yesterday, to talk about neuroscience to 8-year-old children. They celebrate the Science Week this week and bring researchers to the school to explain what they do in their labs. We talked about the brain, about neurons and glial cells, about neurotransmitters and about emotions. Pablo won the Elevator Pitch contest! Last week three research centers at UAB celebrated an Elevator Pitch contest. Students and researchers had 2 minutes to explain their research projects to the audience, in a fun and understandable way. 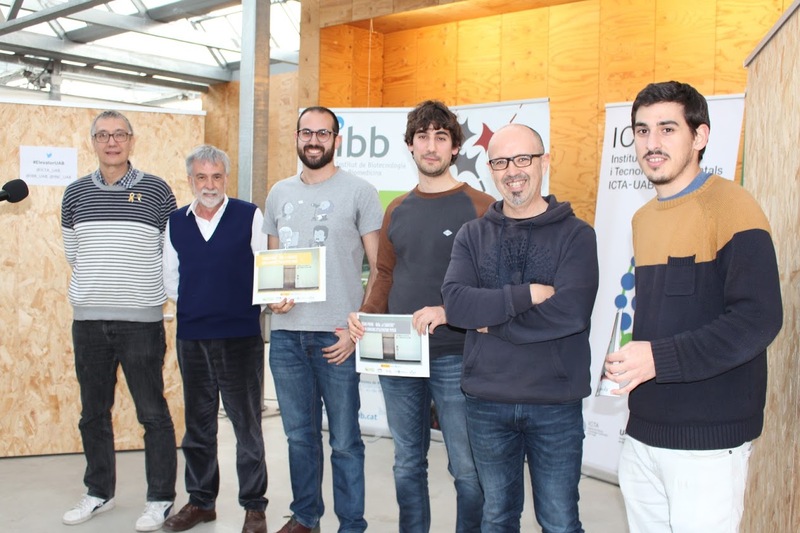 There were 20 participants from the IBB, the ICTA-UAB and INc (our institute), and all of them talked about what they are doing in their labs. They all did amazing presentations, and we had a very nice time learning from them! 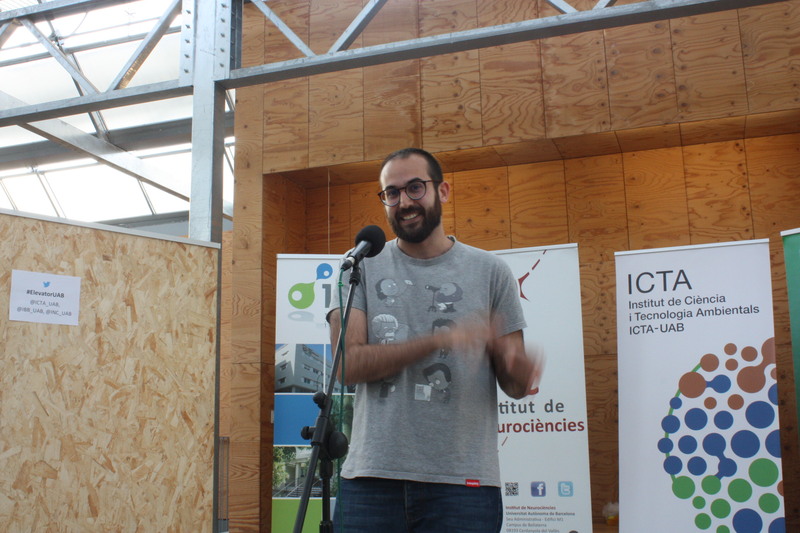 Pablo explained his PhD project, in which he puts all his energy and passion. He is investigating how to cure motion sickness (yes, he is not working in mitochondrial disease, but we still like him), using optogenetics and chemogenetics. Doing his research in mice, he turns on and off specific neuron populations to discover which ones are involved in this annoying phenomenon of feeling sick. The audience were the jury, and through their votes they decided Pablo had to be the first winner. He did an excellent job with his communication, and we are very proud of him! Congrats, Pablo! We published our first preprint last week. For those who aren’t familiarized, a preprint is a study to be published in a Journal, that has not been reviewed yet. The aim is to make the results available as soon as possible so Science can advance faster. We are very excited about it, and very happy because it has been featured by the preprint platform Biorxiv for reaching the top 5% altmetric score within their first days after releasing it; and it has also been selected as one of the ERC Research results of the week! So cool! As you may know, dysfunctions of the mitochondrial energy-generating machinery cause a series of usually fatal diseases collectively known as mitochondrial disease. In this disease, high energy-requiring organs, like the brain, are especially affected, showing many severe symptoms such as motor alterations, respiratory deficits or epilepsy that, in many cases, can be fatal. Hence, our group is driven to better understand these pathologies, with the overarching goal of finding effective therapies to treat them. 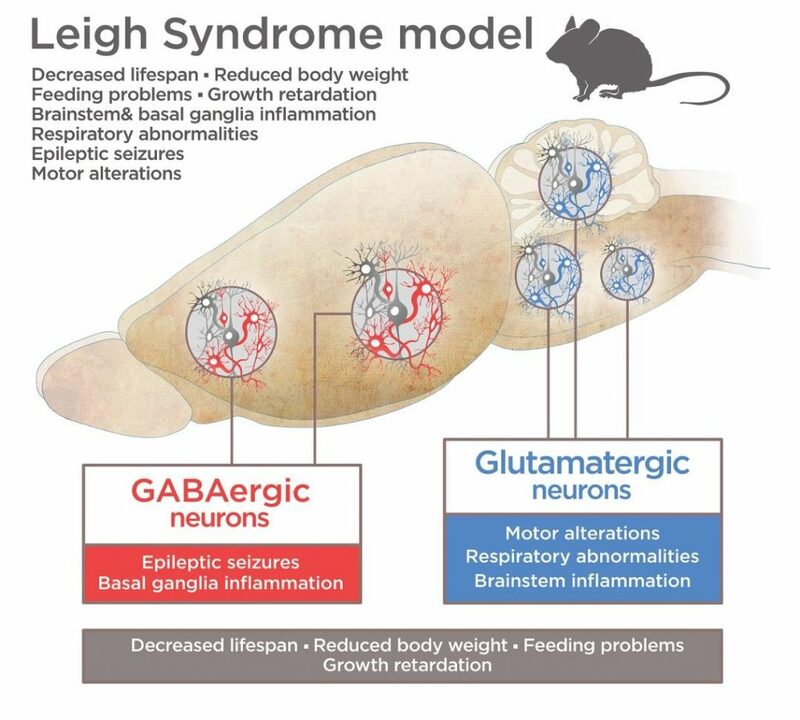 This time, we focused on Leigh Syndrome, the most common presentation of mitochondrial disease with a predominant affectation of the central nervous system, particularly in two brain areas, the brainstem (that controls all basic functions that keep us alive) and the basal ganglia, involved in refining motor coordination. We knew that one protein in the mitochondria is critical in this disease: the Complex I subunit NDUFS4, because animal models lacking this subunit in all their cells reproduce the classical signs of Leigh Syndrome described before. However, there were some pressing questions remaining: do symptoms appear due to all cells in the body not working properly, or some specific cells are responsible for them? To study this, we selectively inactivate NDUFS4 in three neuronal populations we suspected could be key, and keep NDUFS4 working in all other cells in the body. Observing what symptoms remained we could know the role of these neurons in the brain alterations these patients suffer. What we found was that the inactivation of this subunit in a certain kind of excitatory neurons (the fancy-scientist name is vlgut2-expression glutamatergic neurons) caused brainstem inflammation, motor and respiratory deficits, and early death; and that its inactivation in inhibitory (GABAergic neurons) led to basal ganglia inflammation, severe refractory epileptic seizures and premature death. Bottom line, these results are very important to contribute understand the underlying cellular mechanisms of mitochondrial disease in general, and Leigh Syndrome in particular, as we have identified which specific neurons are behind the brain lesions observed in this pathology and their specific contribution to the symptoms. Therefore, now we have new knowledge to try to identify which cellular aspects are failing in those cells so we can start to envisage different methods to correct them. The Quintana-Sanz house was transported back to the USA last week. 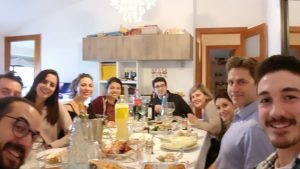 A huge turkey presided a big table around which the Quintanalab team sat to celebrate Thanksgiving. Albert and Eli feel nostalgia for their years in the States, and they try to maintain the best traditions (especially those involving food). 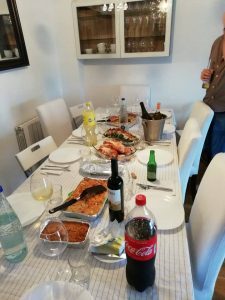 There was a delicious pumpkin pie, exhuberant Brussel sprouts, an astonishing green bean casserole, mouth-watering cornbread, exquisite mac’n’cheese, among other incredible foods, everything homecooked by Quintanalab members. Kudos to all lab members for such a feast! So delicious! After the lunch, the lab had many good laughs playing the HEADS UP game, and sipping some coffee (we mean espresso) while the afternoon became the evening. Last Thursday 15th was the Open Doors day at the institute. 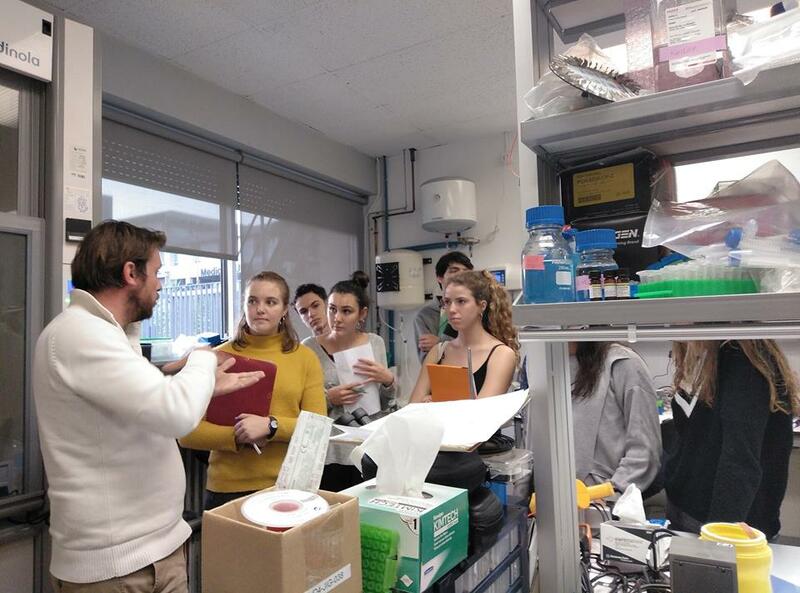 90 students from the Institut Torras i Bages and the Lycée Français de Barcelone visited the facilities of the center and learned about what we do in the laboratories. We had the opportunnity to talk to them about how our research can help understand mitochondrial disease and find novel treatments. We also explained what techniques we use. They could observe fluorescent mitochondria under the microscope, saw cool molecular biology tools and learned how to measure neuronal activity! 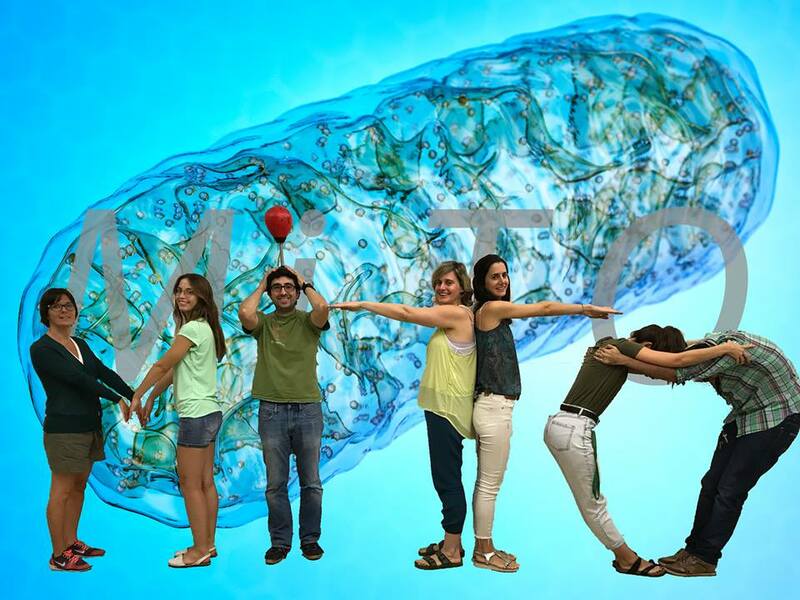 It was a very good experience and we hope it helped incentivate scientific vocations among them! Last 10th and 11th of October, the INc celebrated its VI Scientific Conferences, and we were obviously there. It was fantastic! 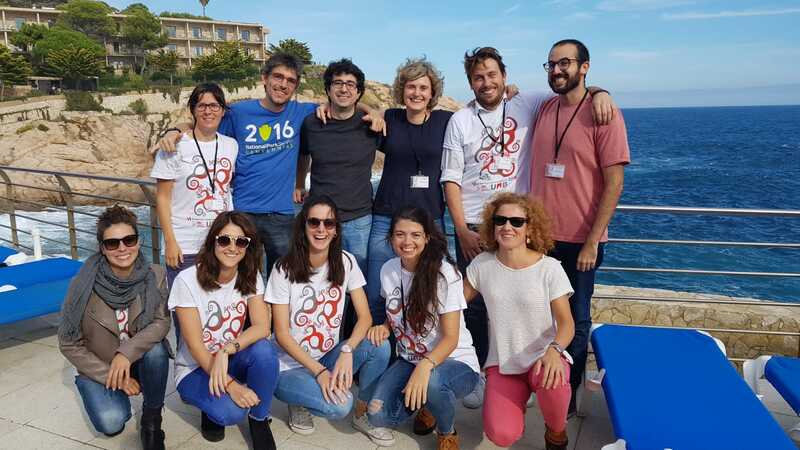 More than 130 researchers and students gathered together in a beautiful hotel, in Sant Feliu de Guíxols, to present their research and foster collaborations. 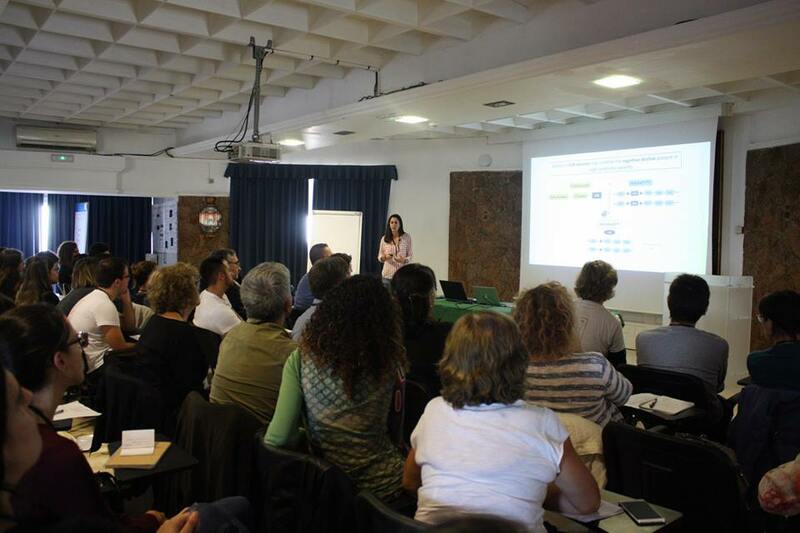 PhD students of 2nd year gave scientific communications explaining their projects, and Andrea was one of them. Pablo gave a talk as well, and Irene, Álex, Fabien, Pati and Laura presented posters. It was a great opportunity for them to receive interesting comments about their work. Dr. Carmen Sandi, president of the Federation of European Neuroscience Societies (FENS), attended the conferences and gave an amazing plenary lecture. It was a pleasure to have the chance to talk to her! After the plenary lecture, we all played a Trivia game, and guess what team was winning! Albert, Elisenda, Irene and Álex; ‘The Tsunamis’. Then, some technological issues happened… A conspiracy? The conferences were also a good opportunity for us to better know some companies that provide services related to our work: publishing houses, lab material suppliers, etc. We would like to thank all of them for sponsoring the conferences! Even knowing all the stress involved in the organization, we are already looking forward to the next edition of the conferences. Hopefully, the sun will rise to the occasion next time! We will receive an ERC Proof of Concept Grant! 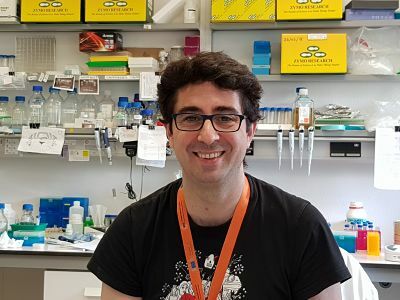 The European Research Council (ERC) has selected us for a Proof of Concept grant to develop a new research line focused on a novel approach to figh antibiotic resistances: the ResisTEST. This project, derived from the knowledge and experience gathered with NEUROMITO, has been chosen for its innovation potential, its significant impact and its quality, and will receive an amount of 150,000€ for a 18 month period. The objective is to bring closer to the market a new tool to help face one of the most important challenges that society will have to face within the next years: the antibiotic crisis. We are very glad to have this opportunity! We know it has been a while since April, but let us tell you about La Fira de la Recerca en Directe, an amazing Science Fair in which we were involved (yes, in April… these have been very busy months!). 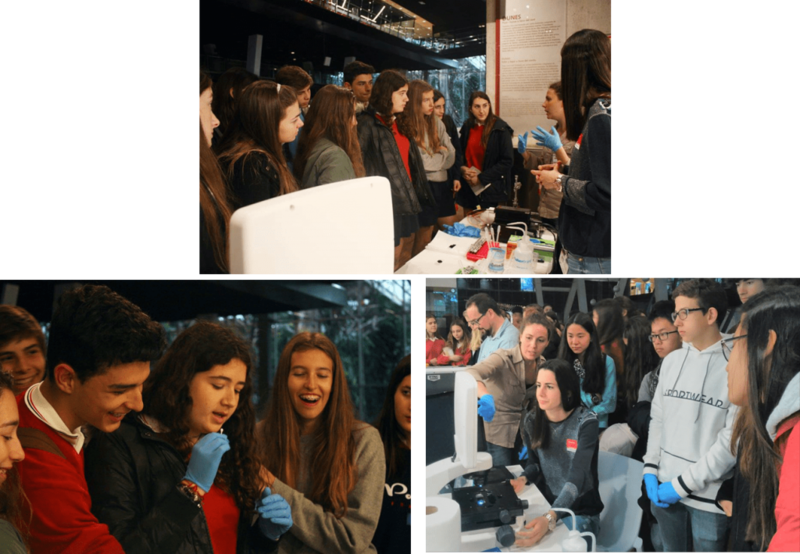 During 4 days, we were at the CosmoCaixa Science museum, showing our research and doing some hands on activities with high school students and the general public. It was great! Only twelve research groups had the chance to participate, and we were very happy that, after a voting process and a selection committee, we were among the chosen ones. We hope they learned a lot and enjoyed the experience as much as we did! Thanks to the Parc Científic de Barcelona for organizing it, and to ThermoFisher, for lending us the microscope we used! As part of our Outreach activities, last week, together with other researchers at Institut de Neurociències (INc), the QuintanaLab participated in the INc-Open Doors Day 2017. 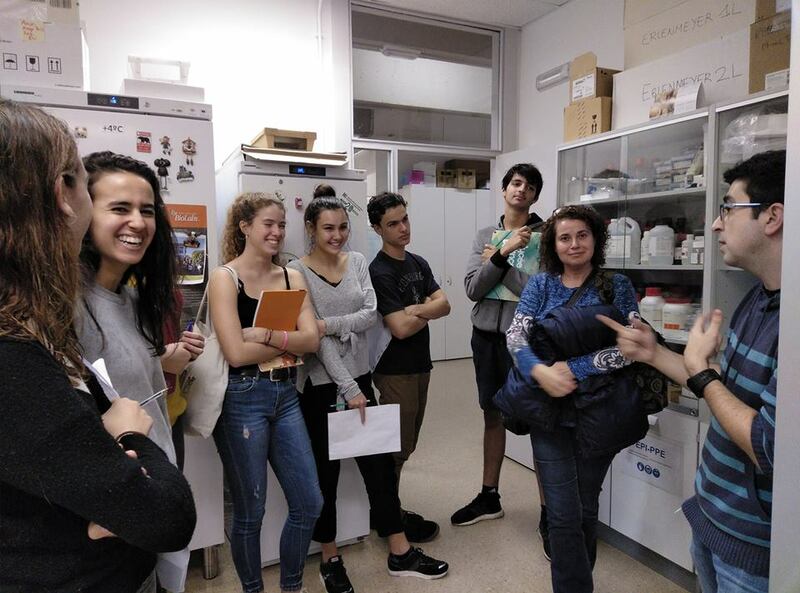 20 high school students aged 15-17 visited our laboratory and learned firsthand what a scientific research laboratory is like and how the research is carried out. We explained them an overview of our research in mitochondrial disease and showed some basic practical lessons in genotyping and protein electrophoresis. They look really interested (and actually they asked a lot of questions!!). We hope we awakened their innate curiosity! They had a very tight schedule visiting other laboratories at the INc. Still, they were very grateful to have the opportunity to visit all of us and they gifted us with very creative and funny drawings!! 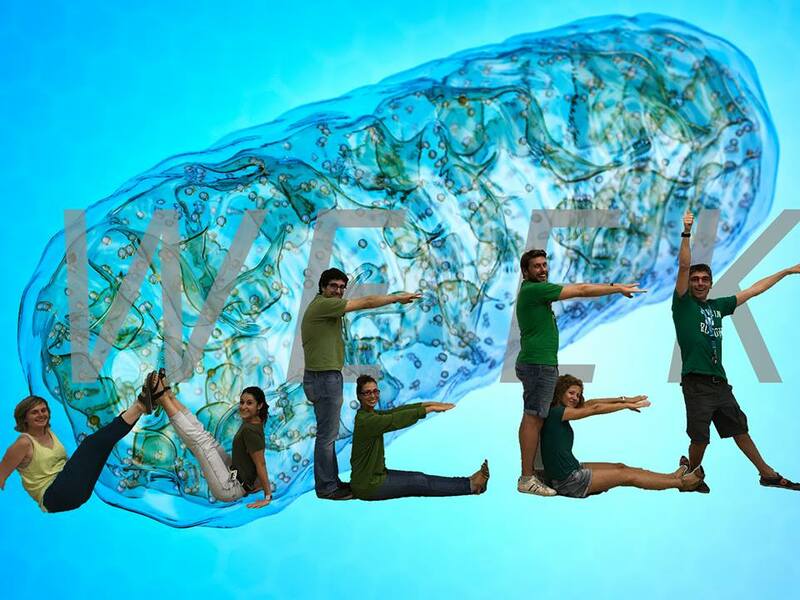 As it can´t be otherwise, we thank them back for their visit and especially for their interest in science and research. Hopefully, we passed them on our passion and dedication for science. We look forward seeing some of them joining in the exciting world of scientific research in the future!! !